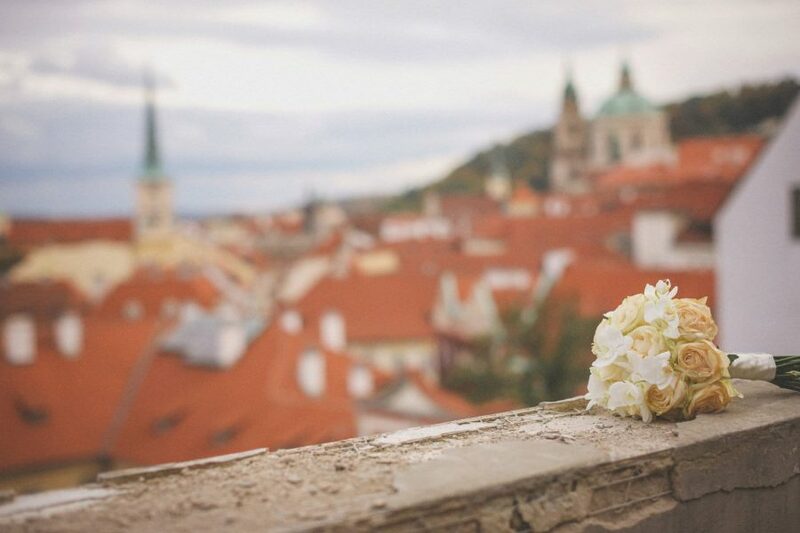 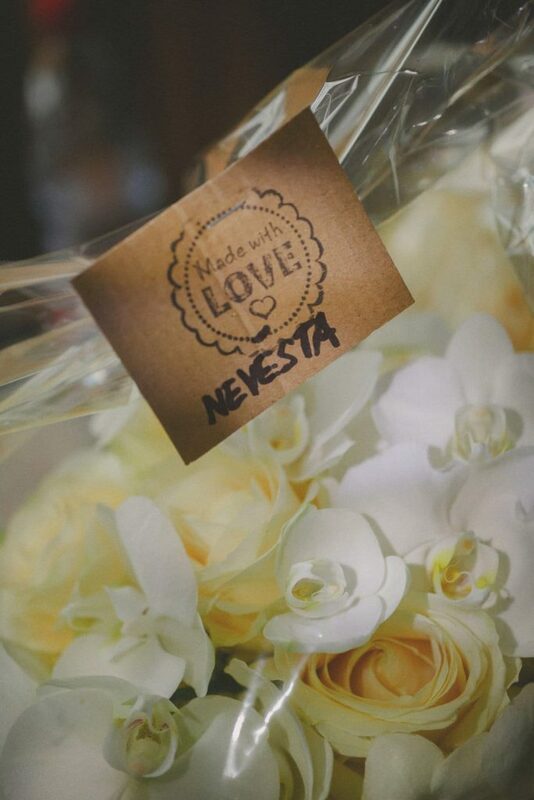 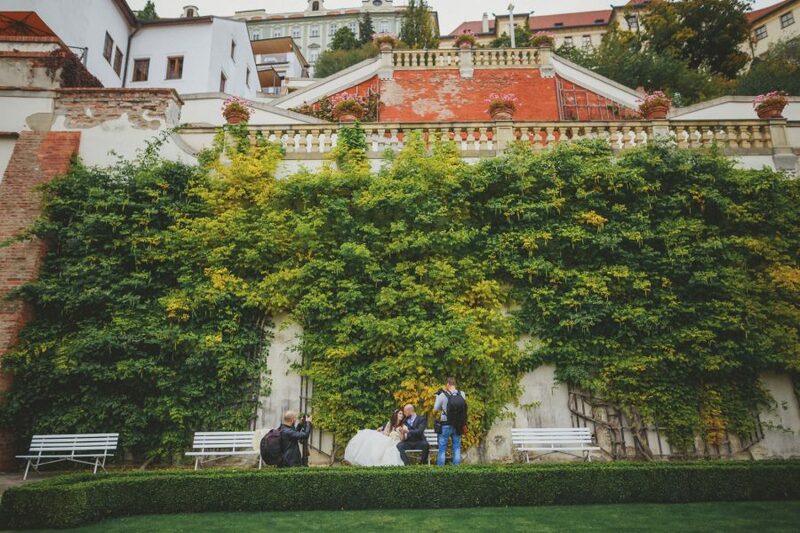 Being a wedding photographer in Prague since 2008 I am always pleasantly surprised at how small the world is getting. 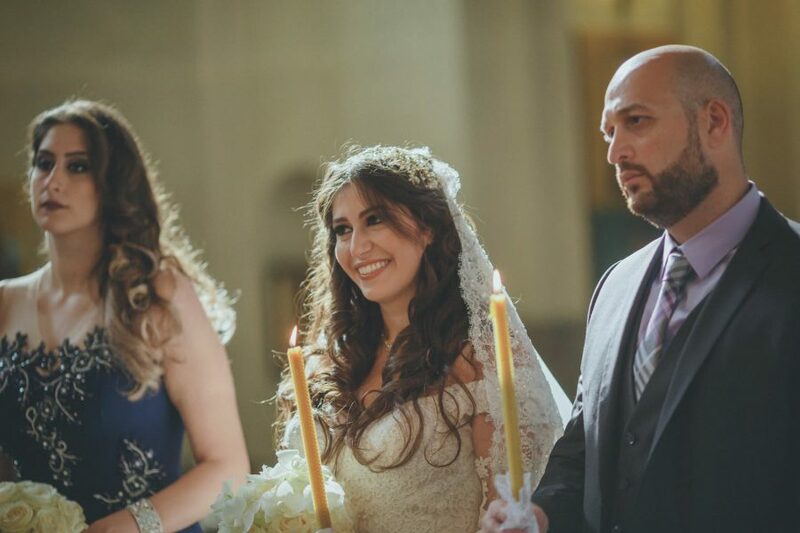 The groom Rabih originally comes from Lebanon but has spent part of his life in the US and so it was great speaking about his time over there. 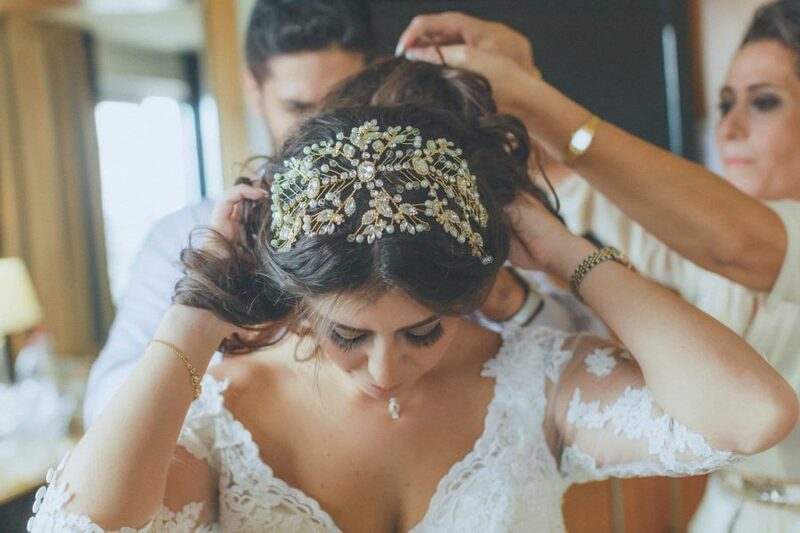 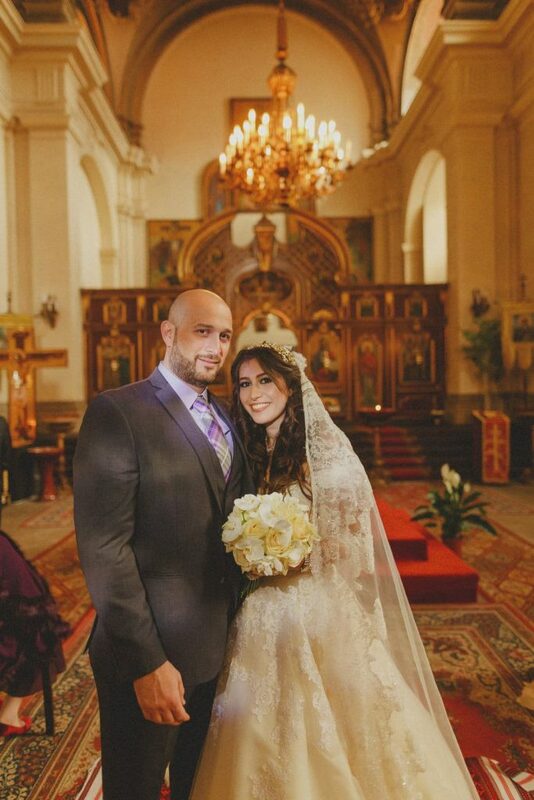 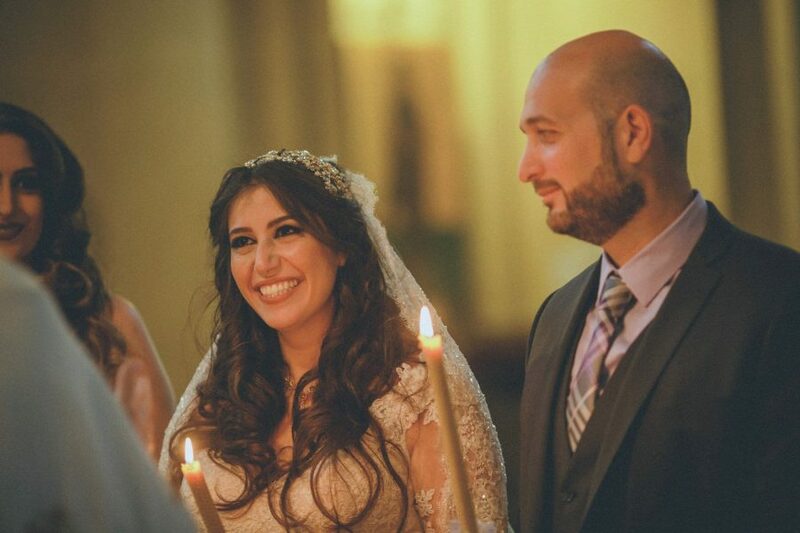 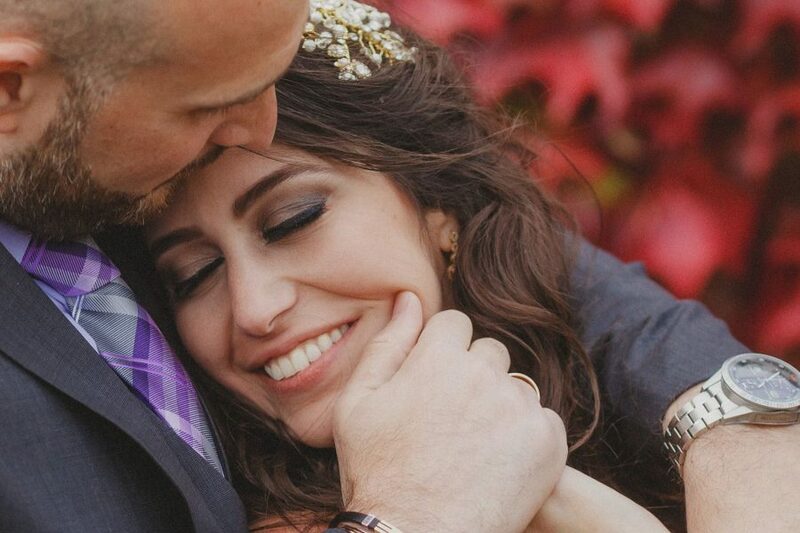 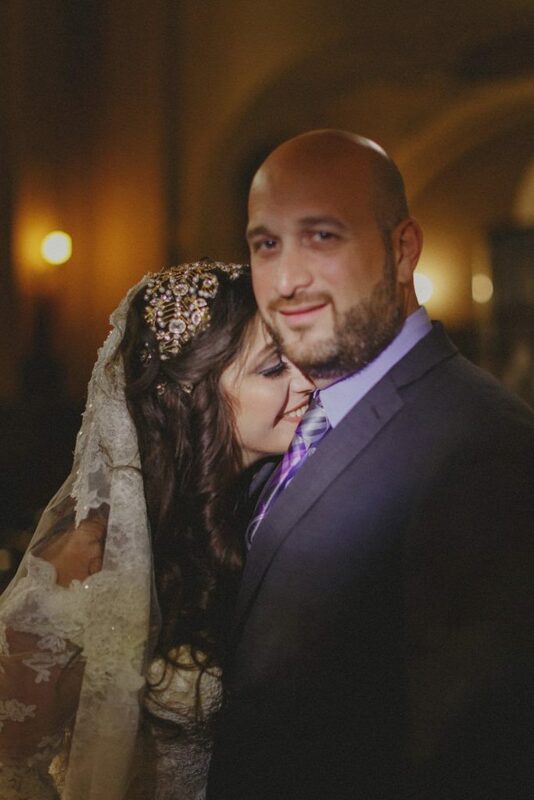 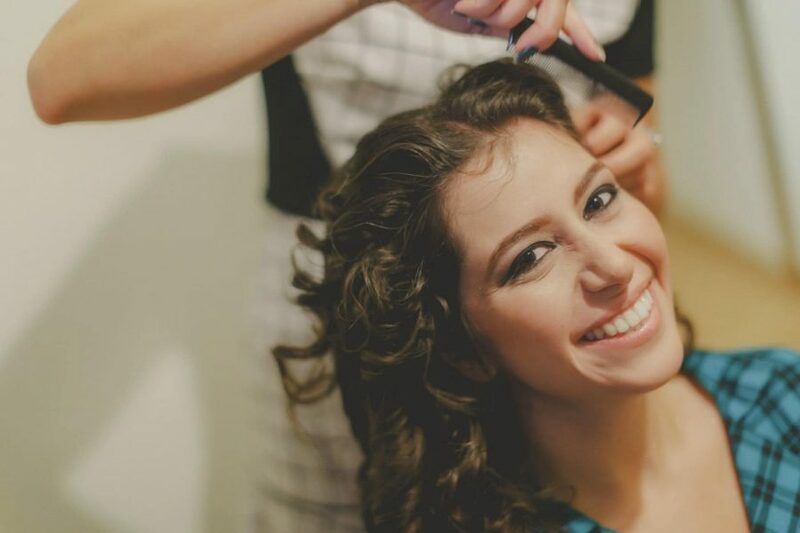 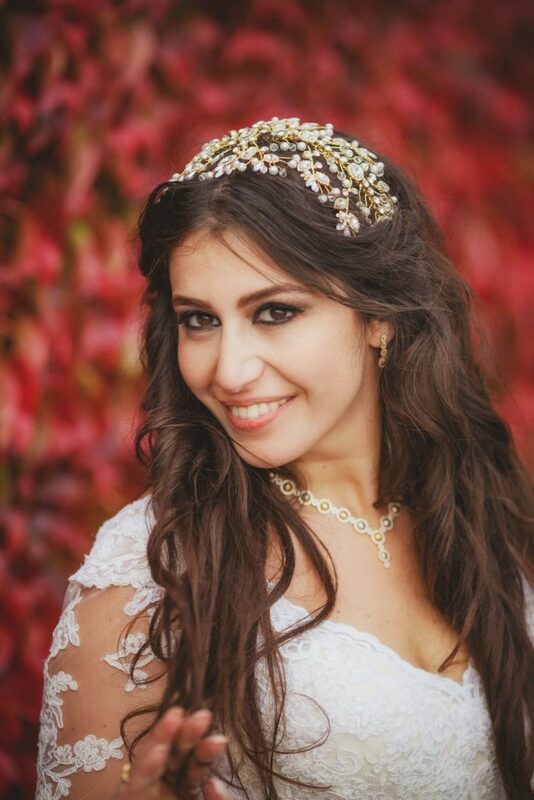 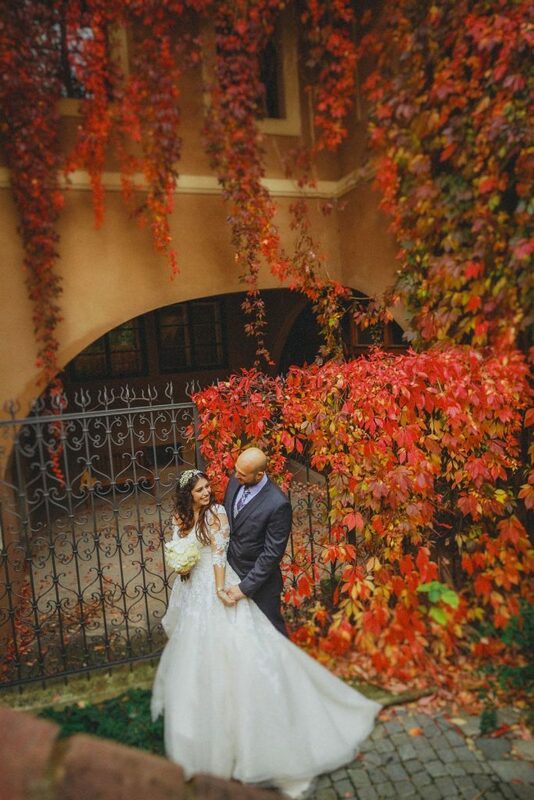 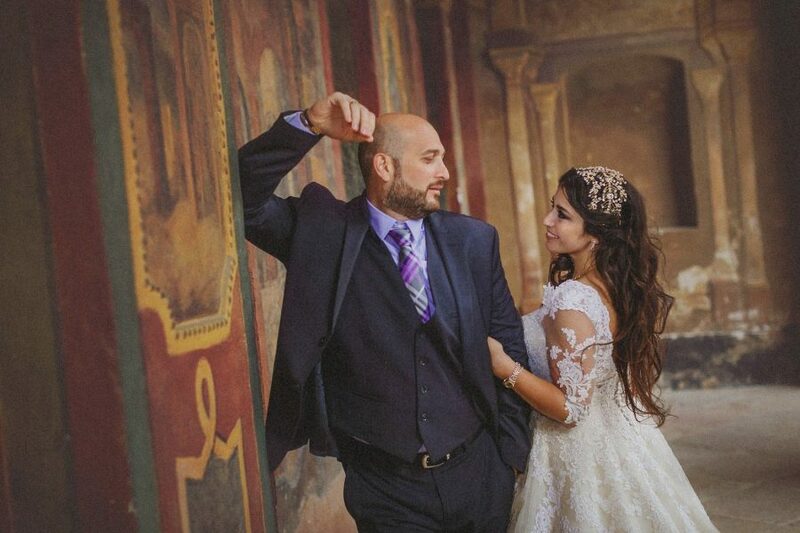 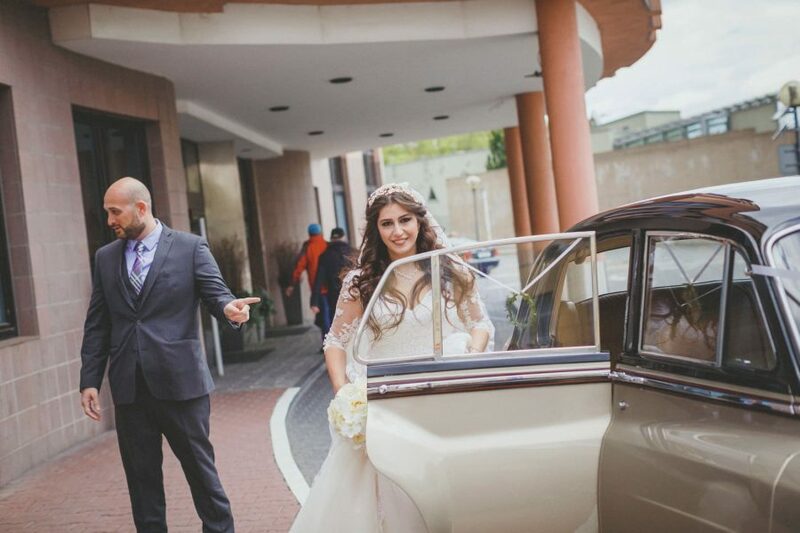 The always smiling, gorgeous bride Jihane also hails from Lebanon and is also a world traveler. 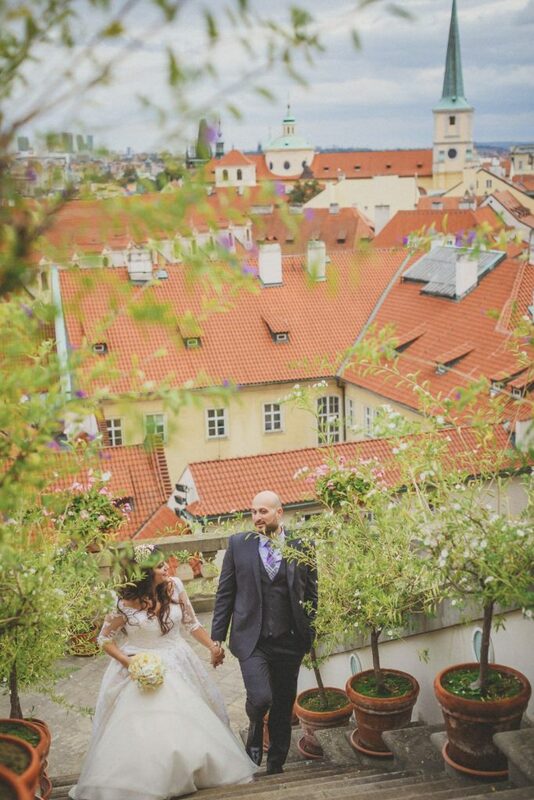 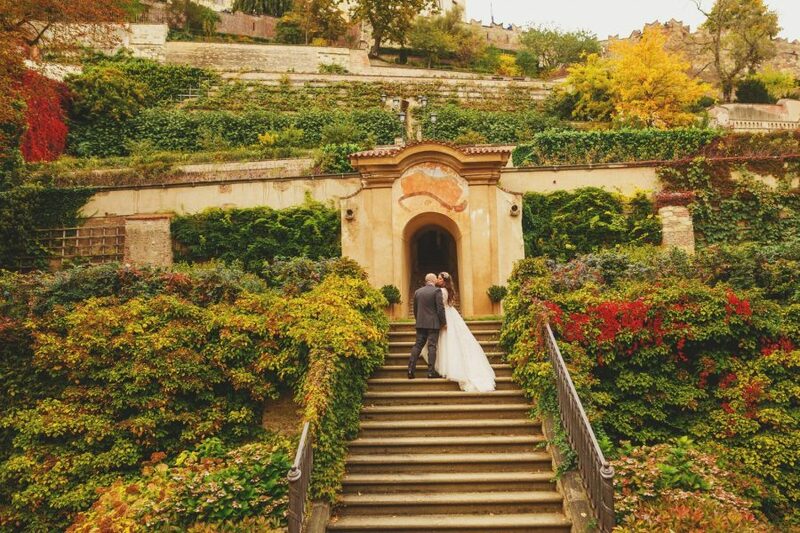 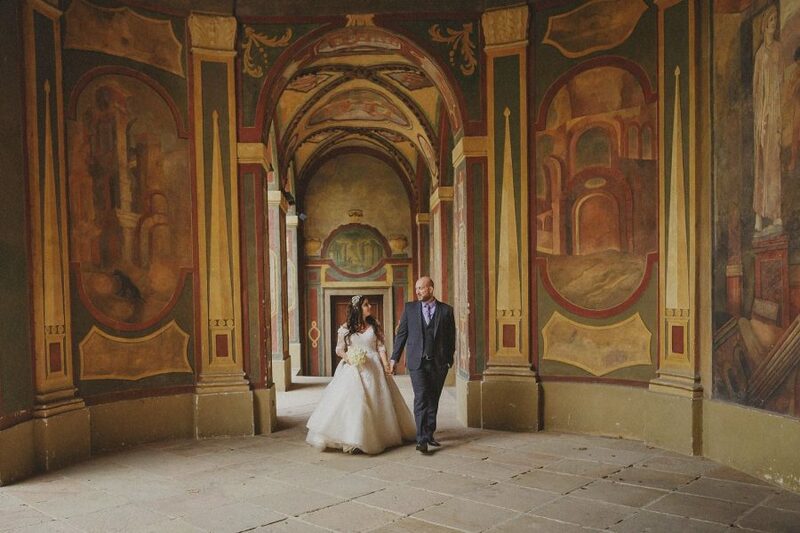 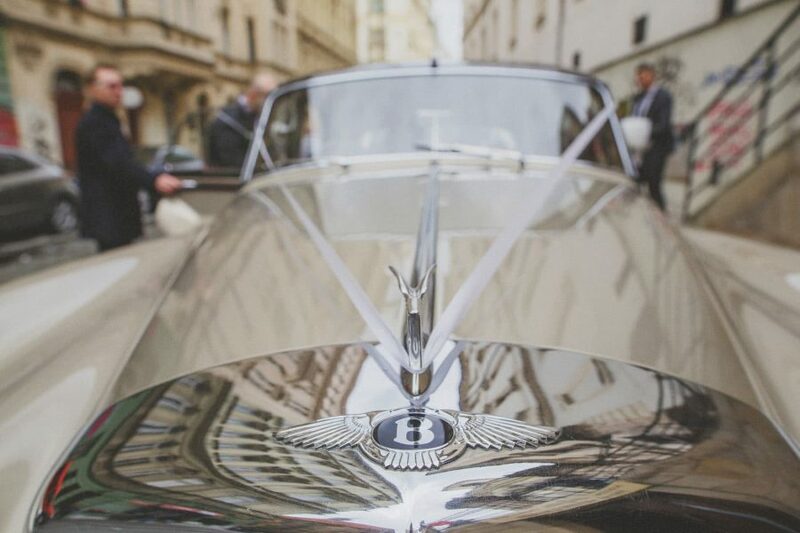 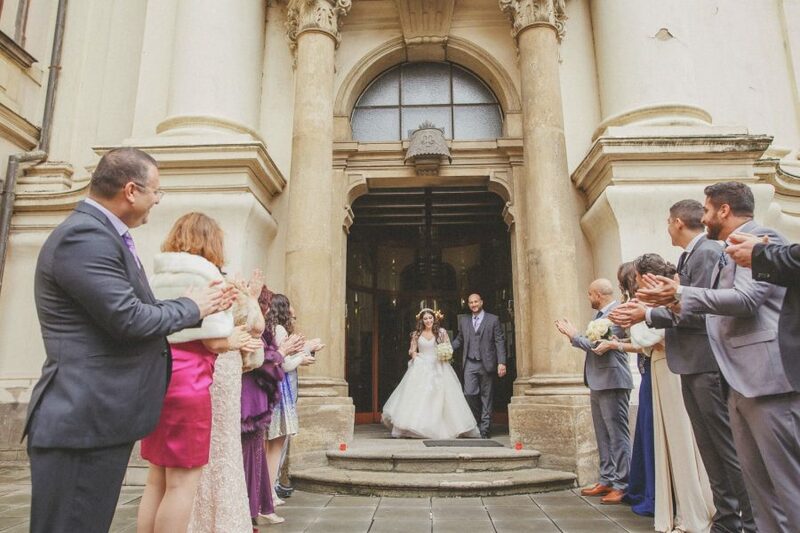 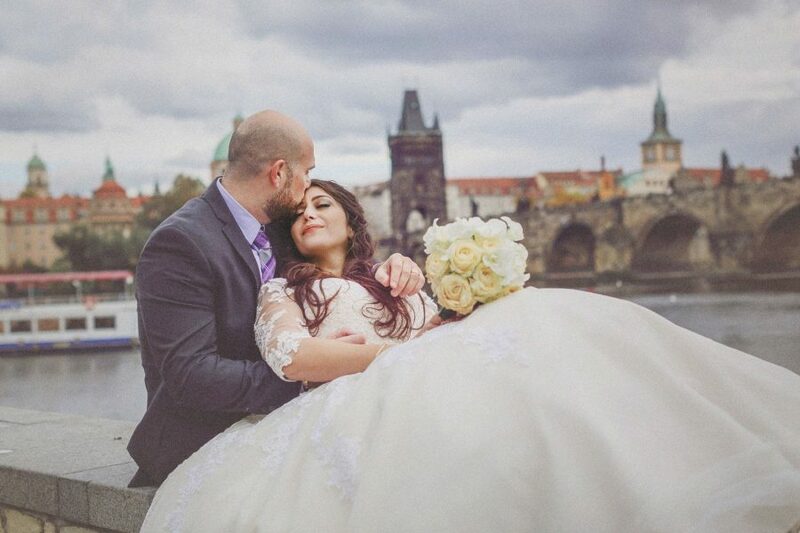 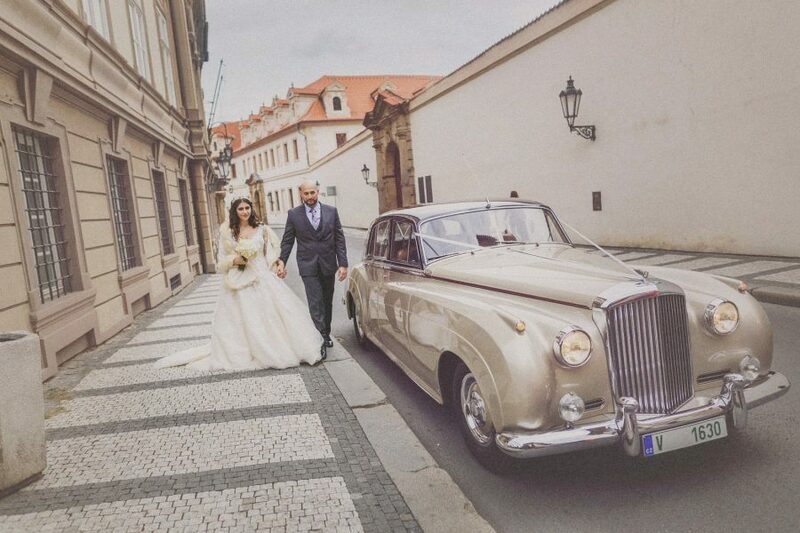 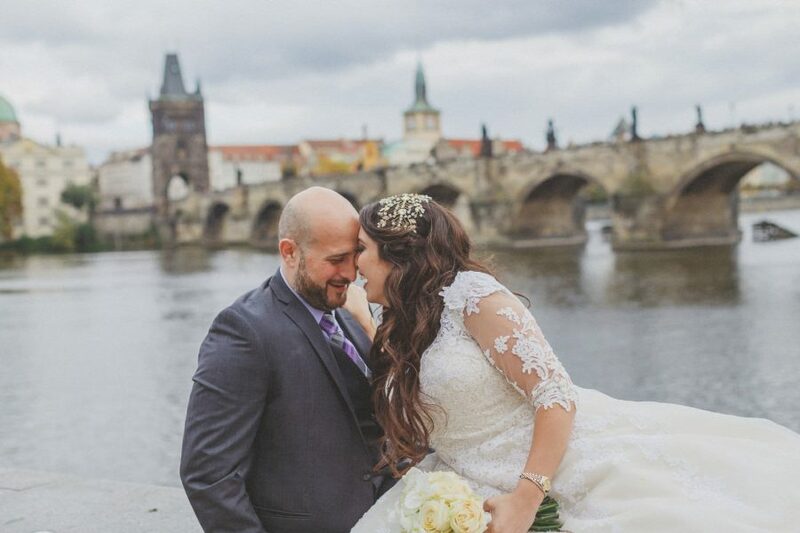 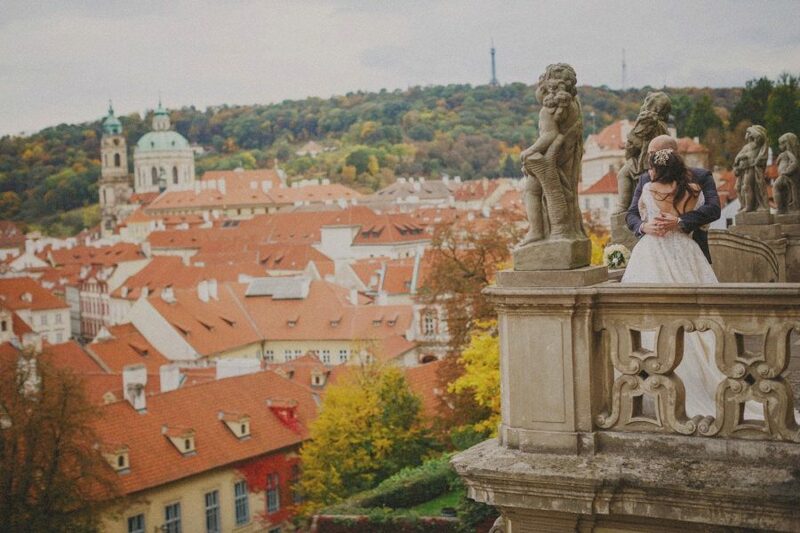 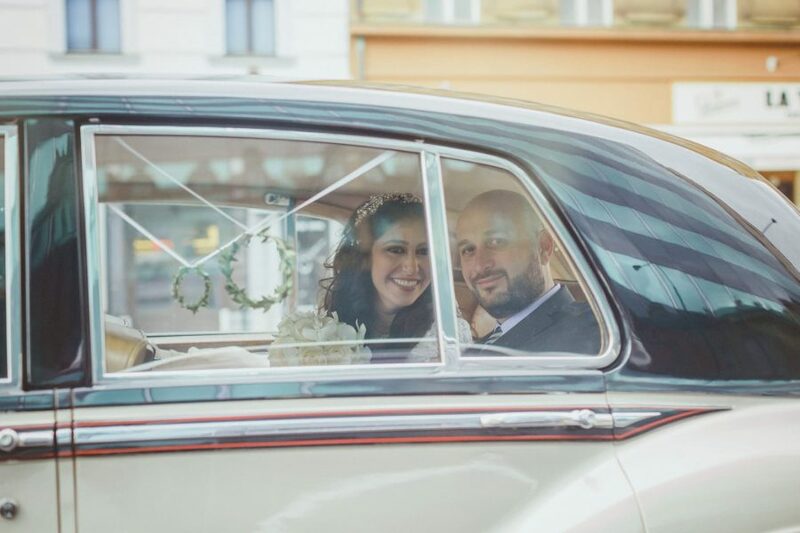 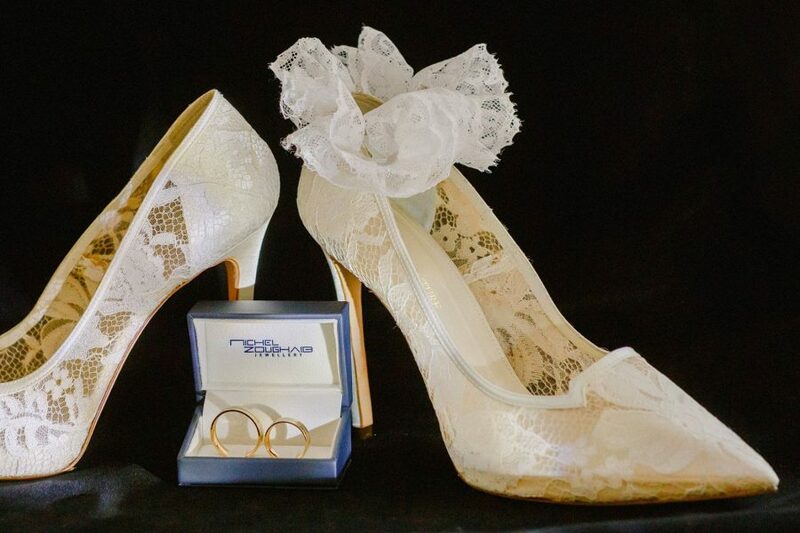 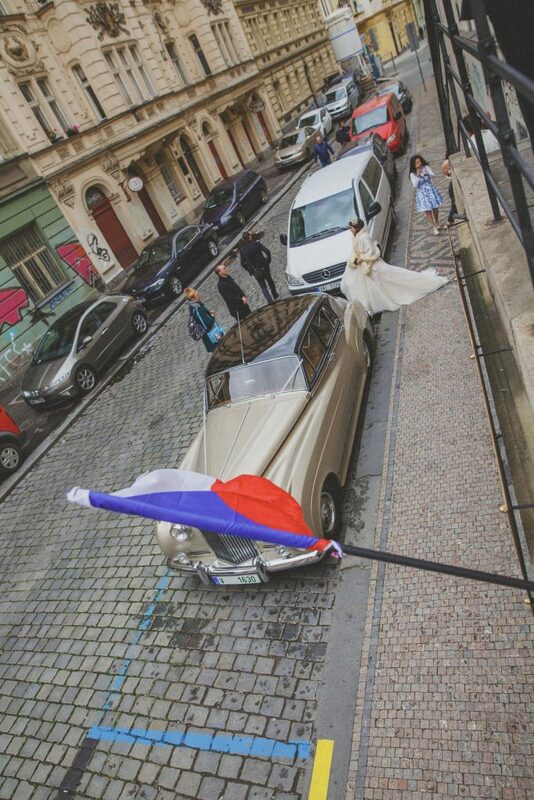 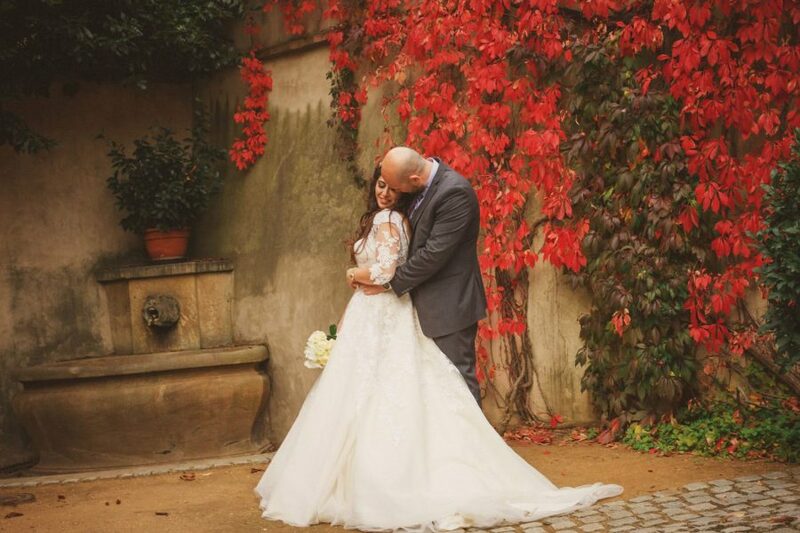 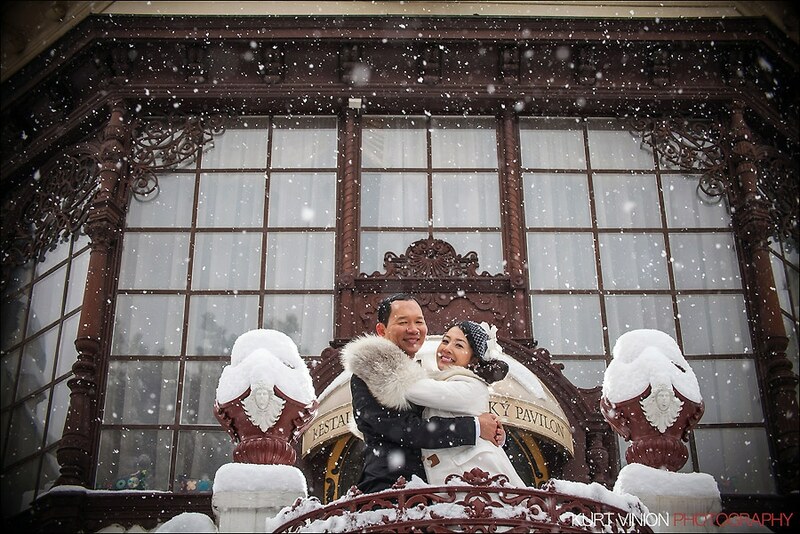 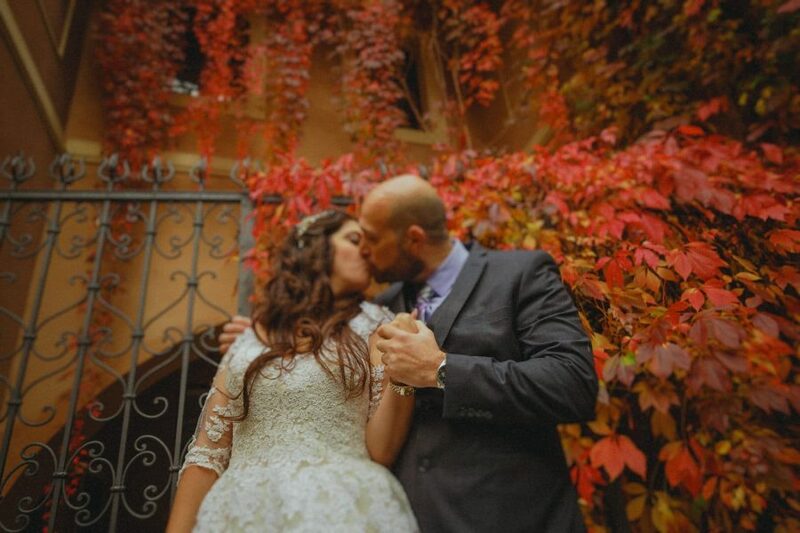 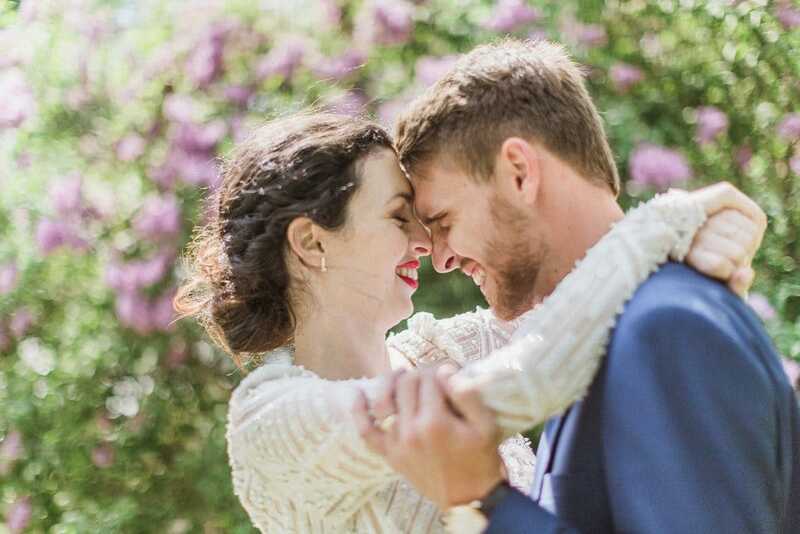 These two wanted something a bit unique for their very intimate wedding and so Prague with its incredible history and architecture was chosen. 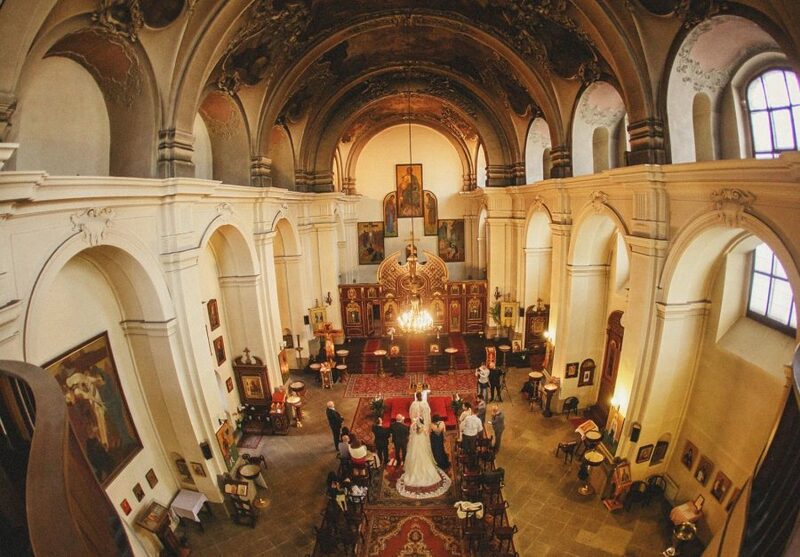 Jihane & Rabih’s wedding venue? 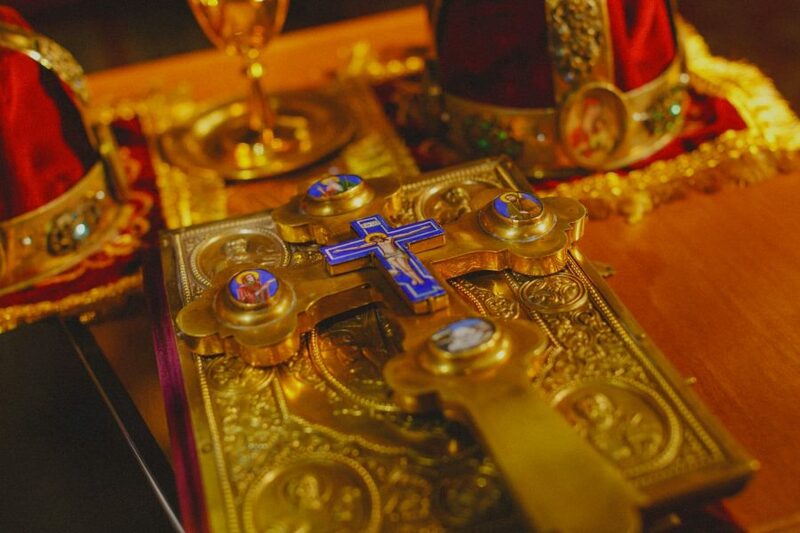 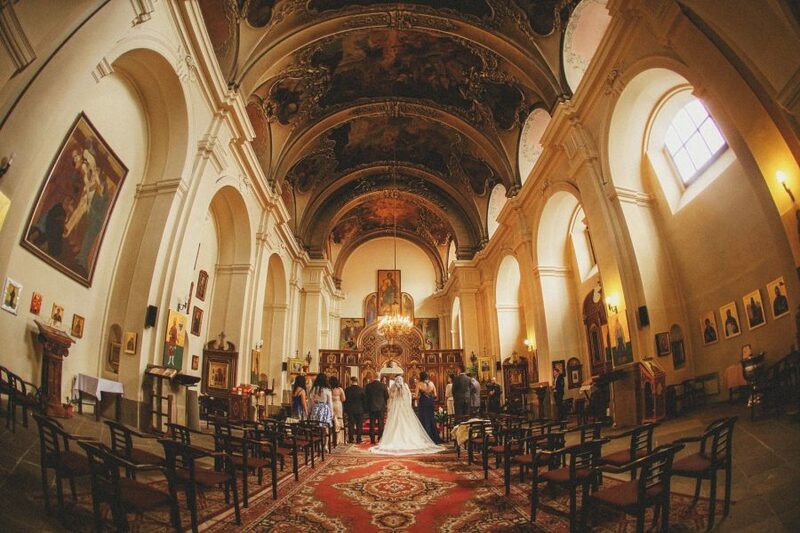 The historic and culturally important St. Cyril & Methodius Church. 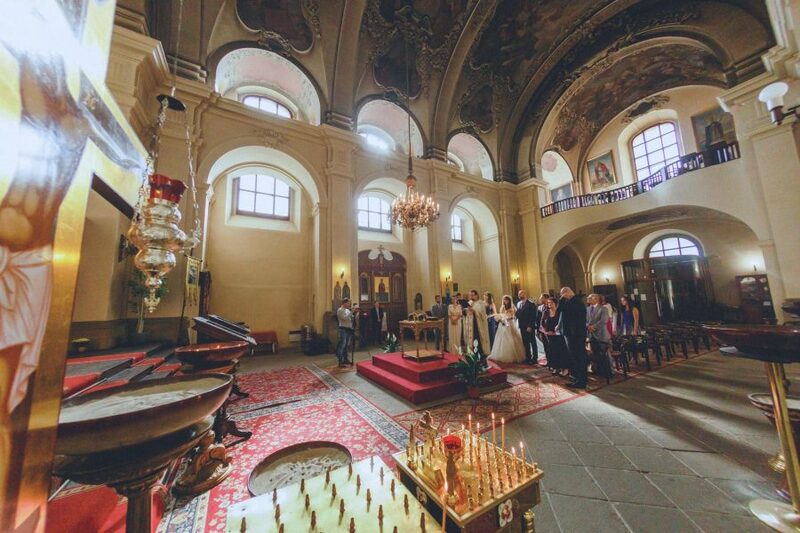 Built between 1730 and 1736 it is the principal church in the Orthodox Church of the Czech Lands and Slovakia. 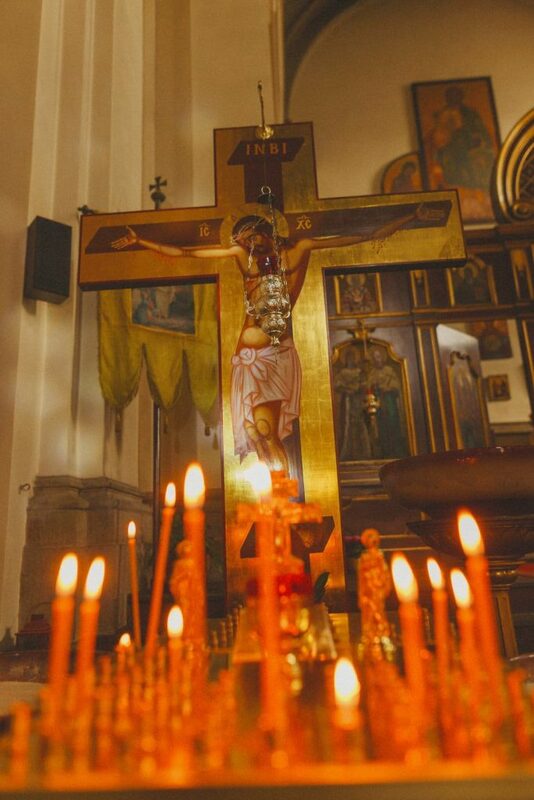 For WWII history buffs it is also the church that was stormed on that tumultuous day in May of 1942 and it still bears the bullet holes and down below in its crypt is a fitting and heartbreaking war memorial. 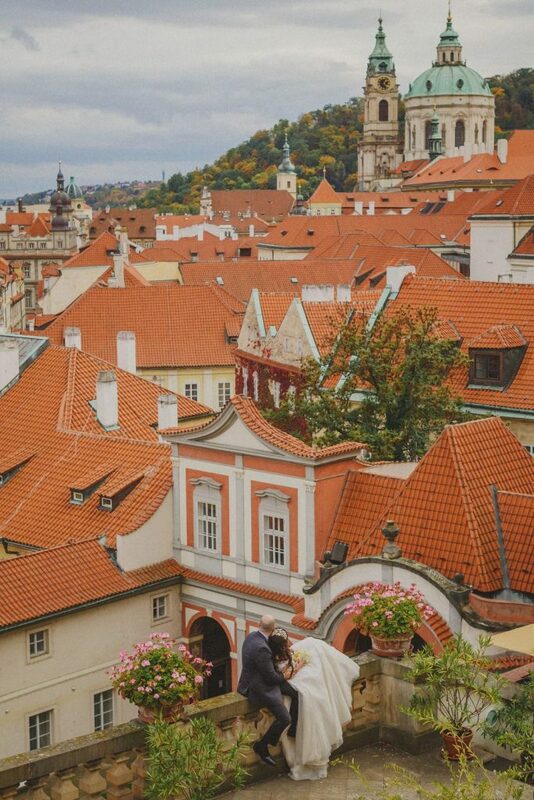 It is one of my favorite churches in Prague and scene of many wonderful weddings that I have been blessed to have been a part of. 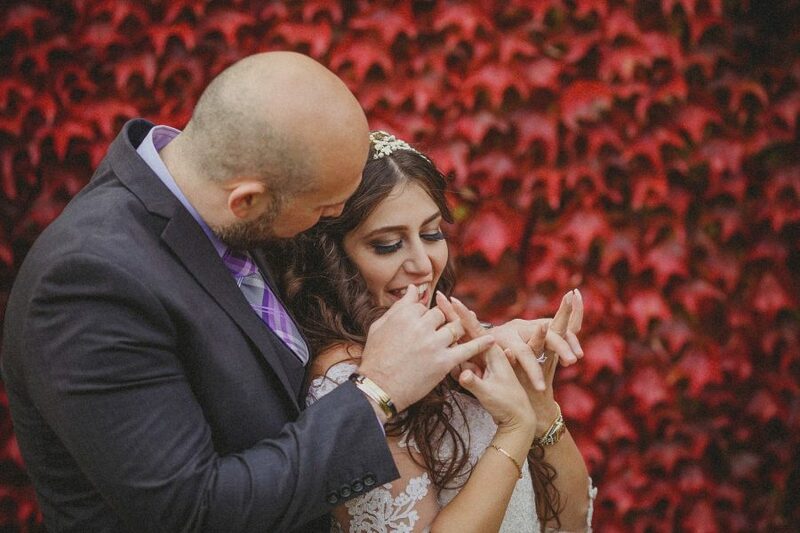 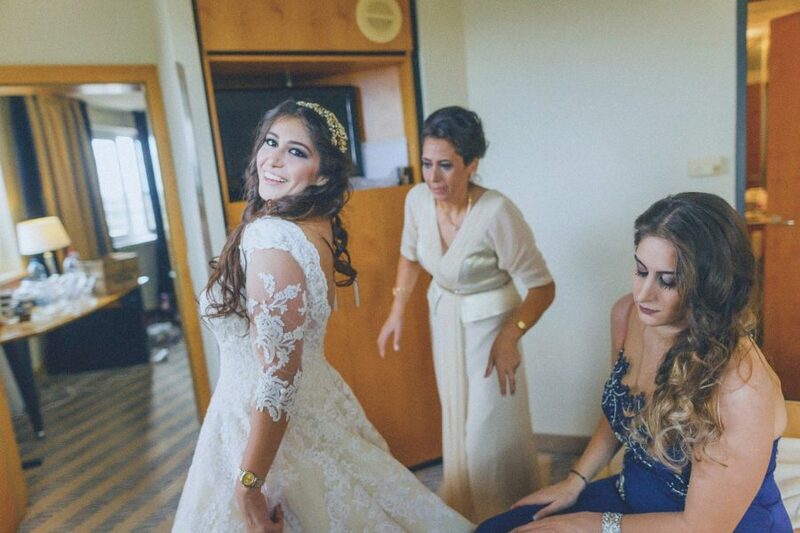 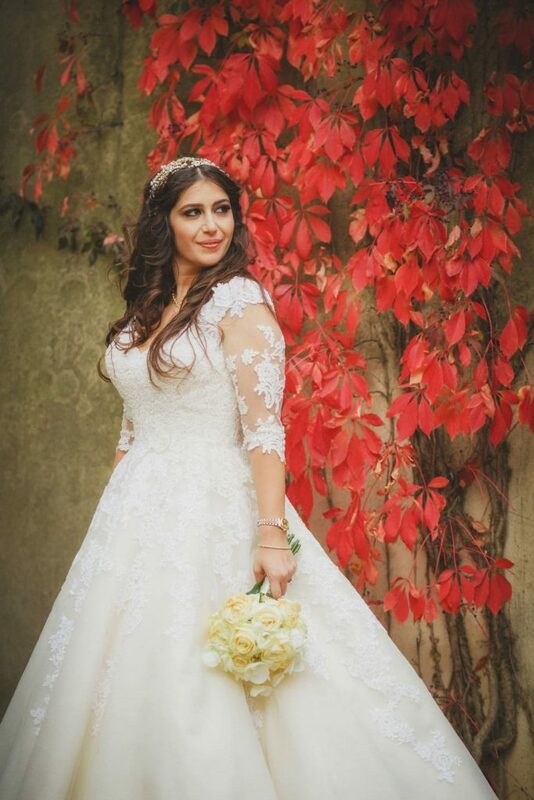 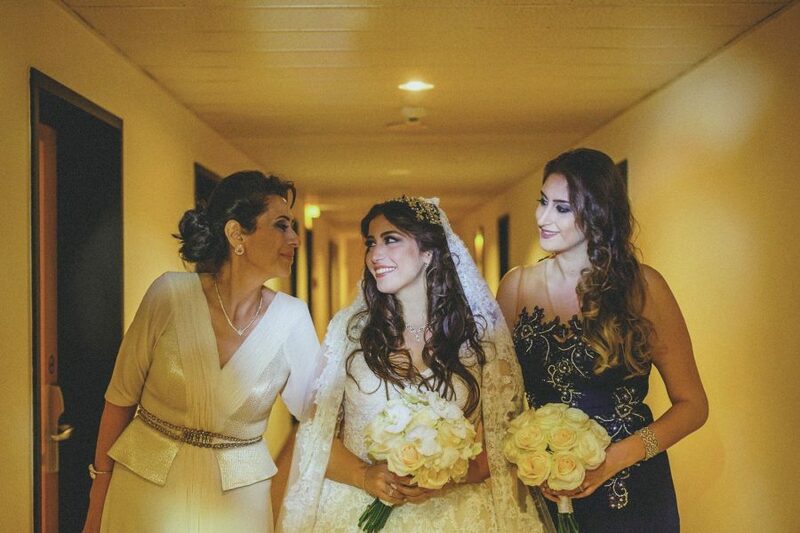 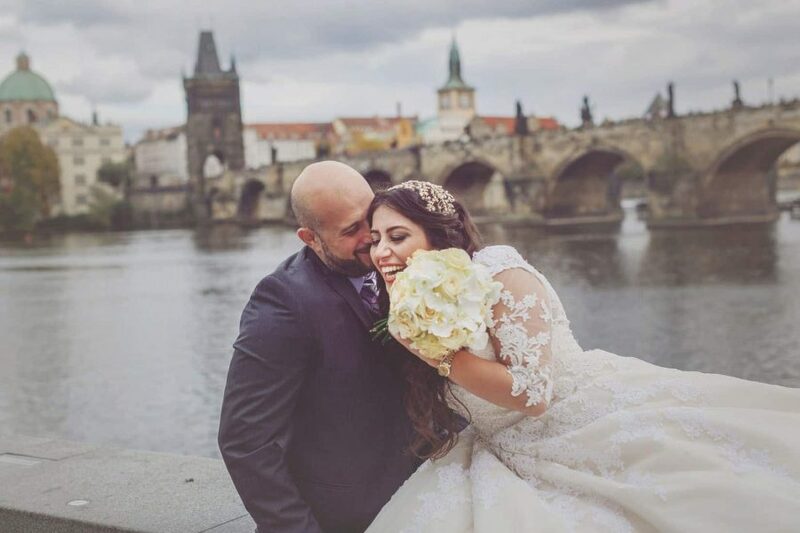 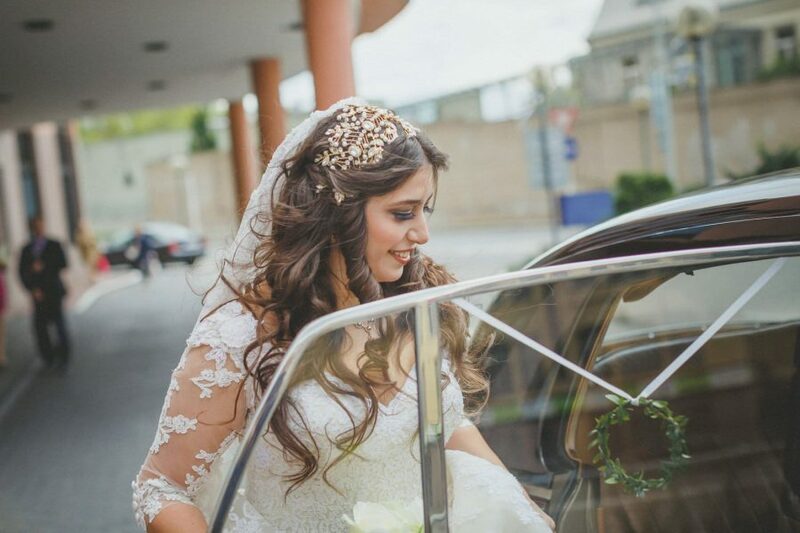 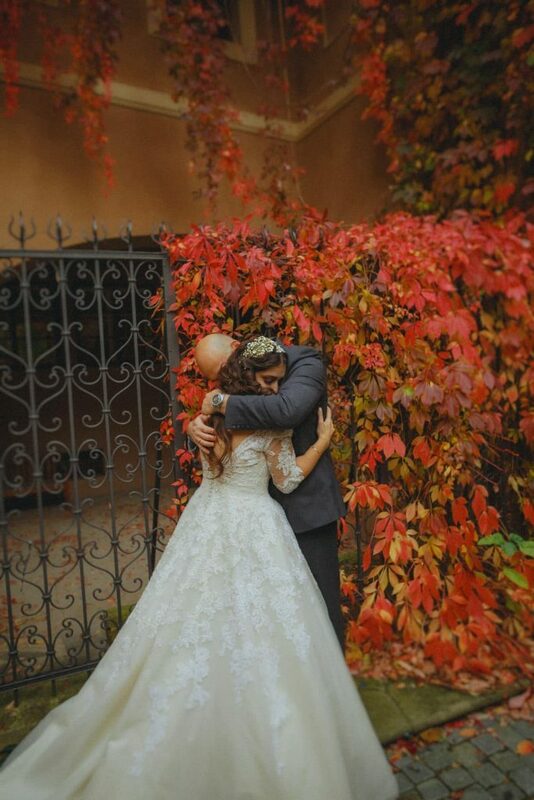 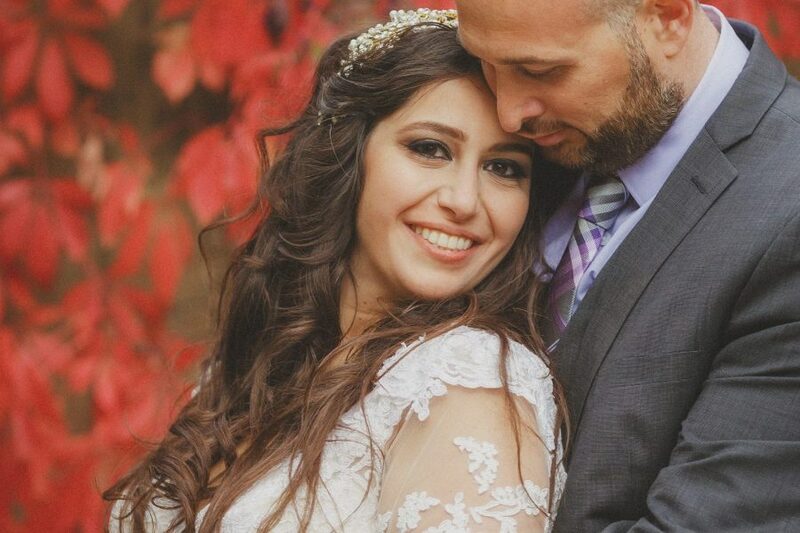 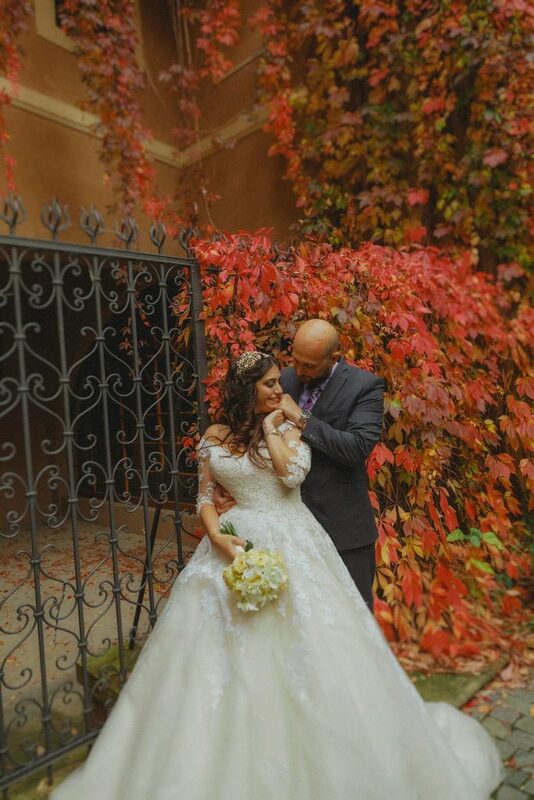 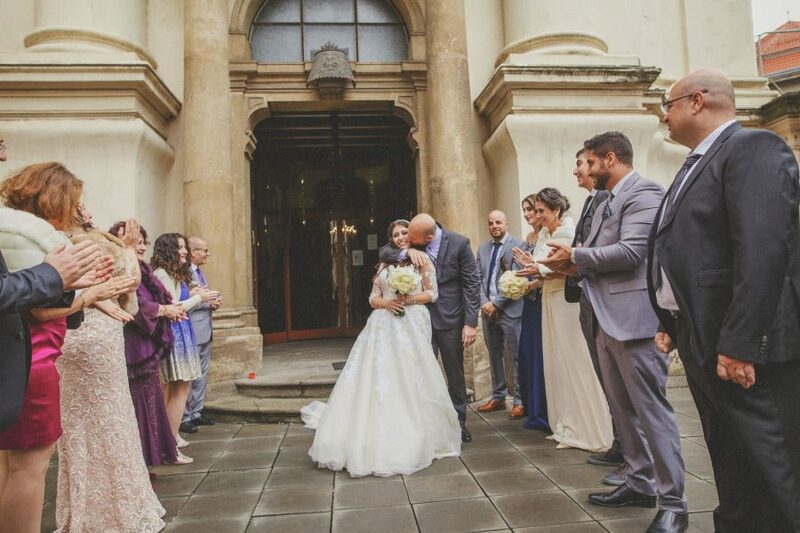 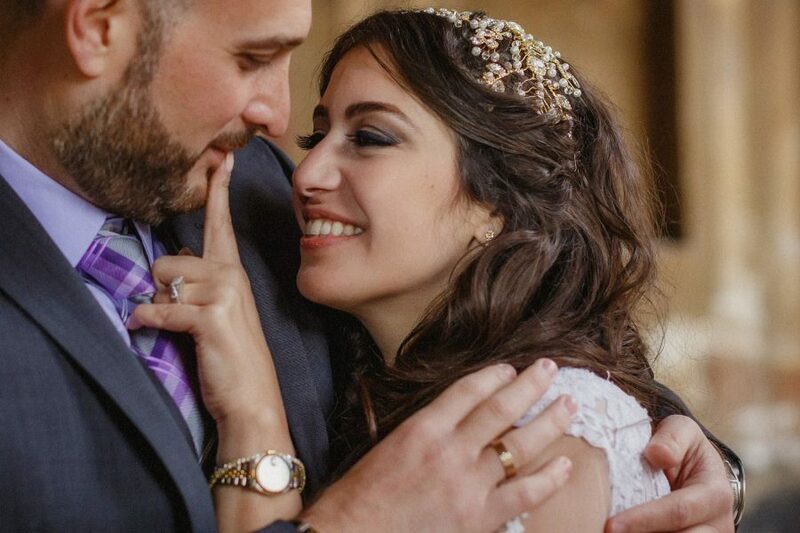 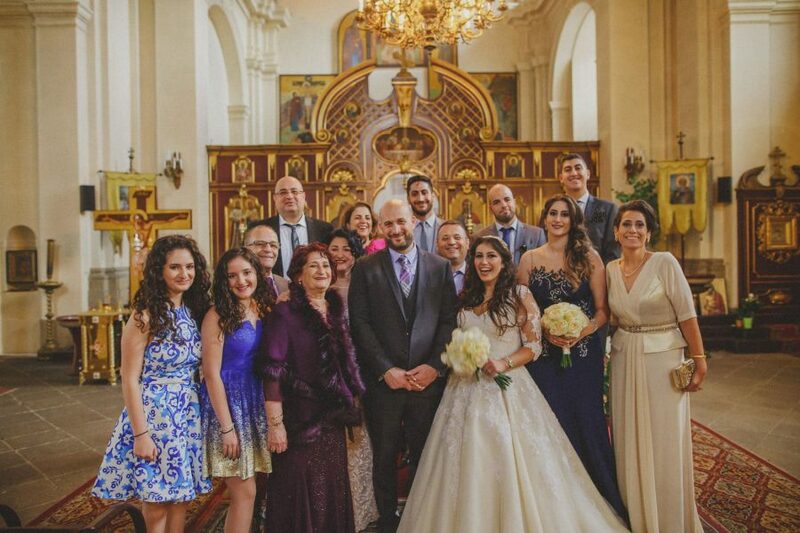 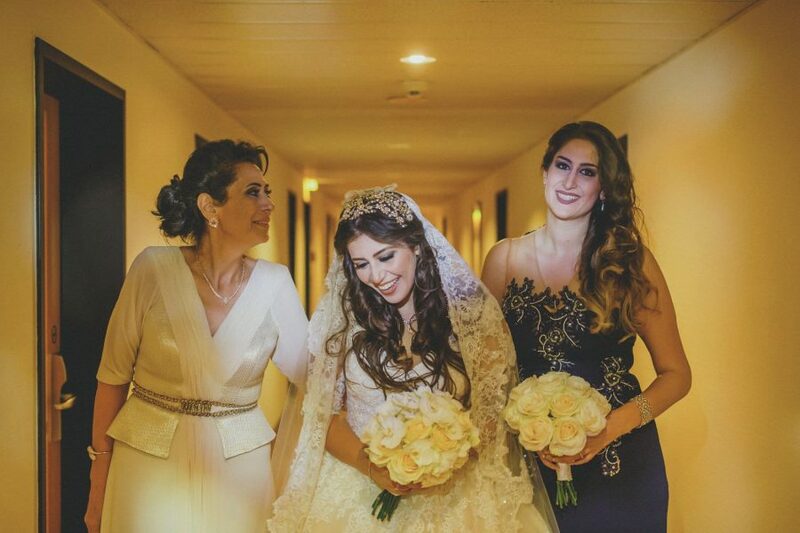 When I first caught up with Jihane & Rabih at their hotel – it was obviously a bit chaotic but what I can share is just how happy the always smiling Jihane was and how her family was really there for her. 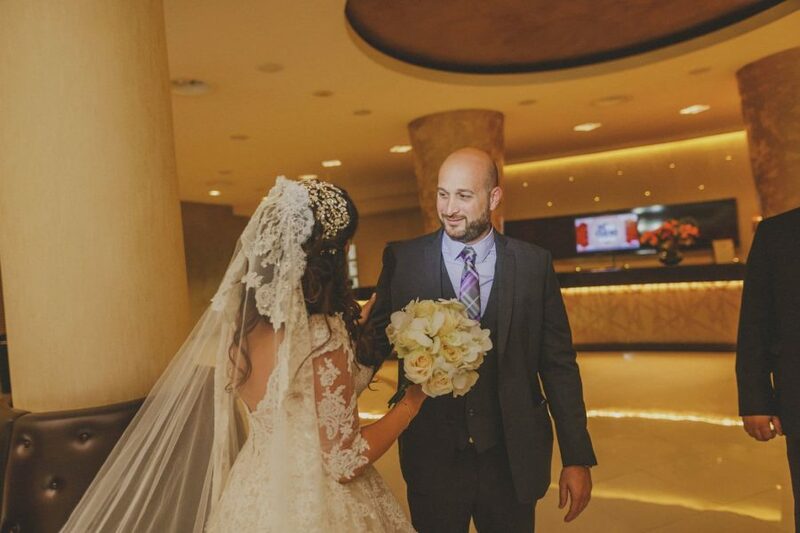 Rabih, being a guys guy was not keen on photos and after a few quick portraits and a few laughs it was time for us to travel down to the lobby and wait for Jihane to make her big appearance – and wow! 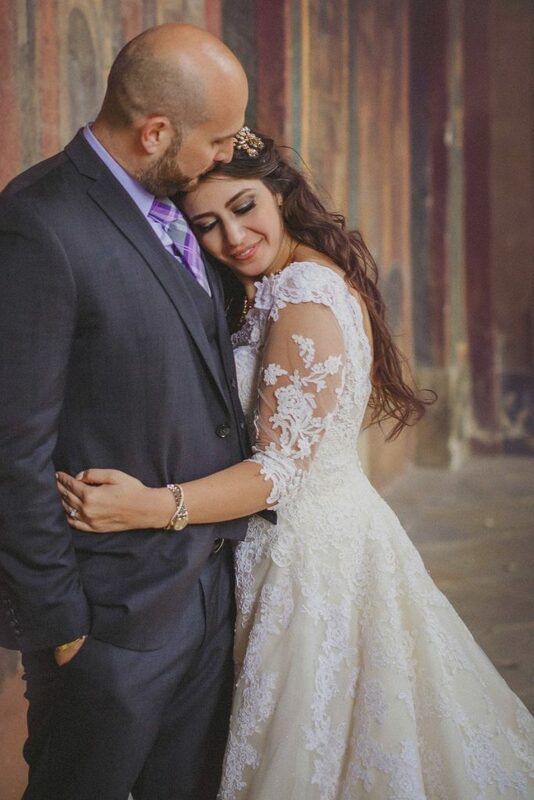 She really did. 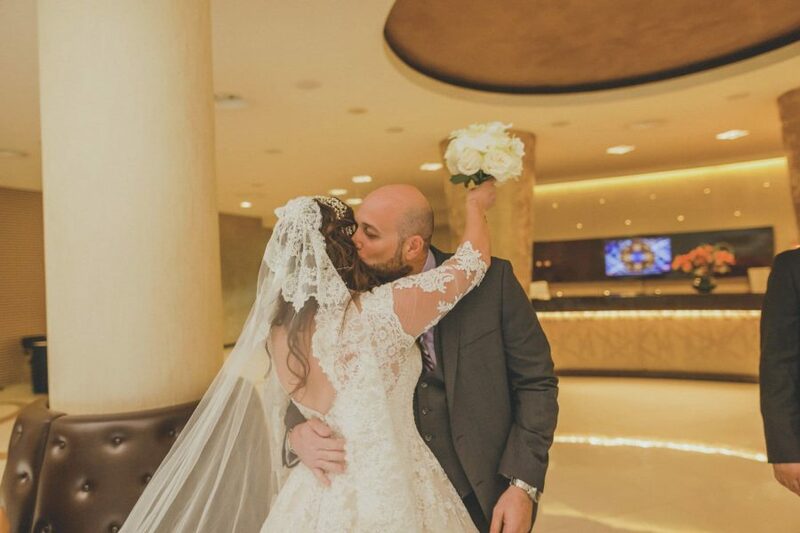 We Americans have started this craze – the first look – where the guy waits for the bride to appear and as theirs was in the hotel lobby there were quite a few tourists shooting photos too. 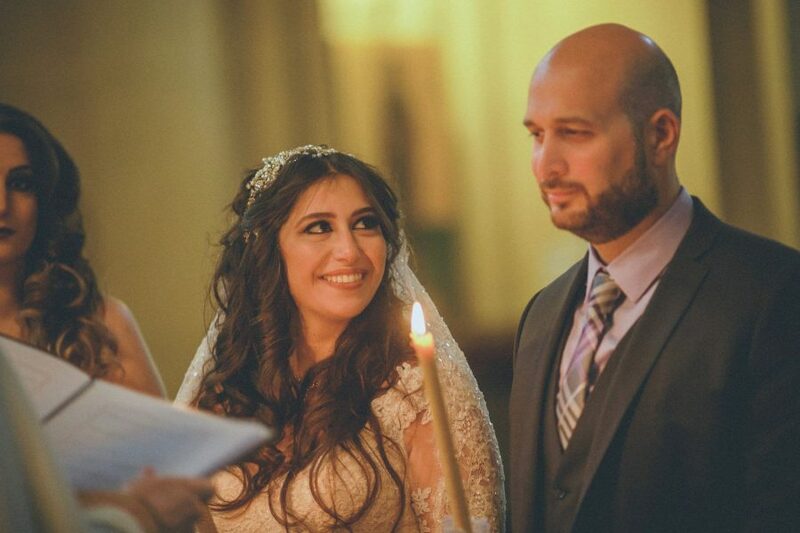 Truth be told, it is a very nice way to capture the expressions of seeing each other for the first time in their wedding attire. 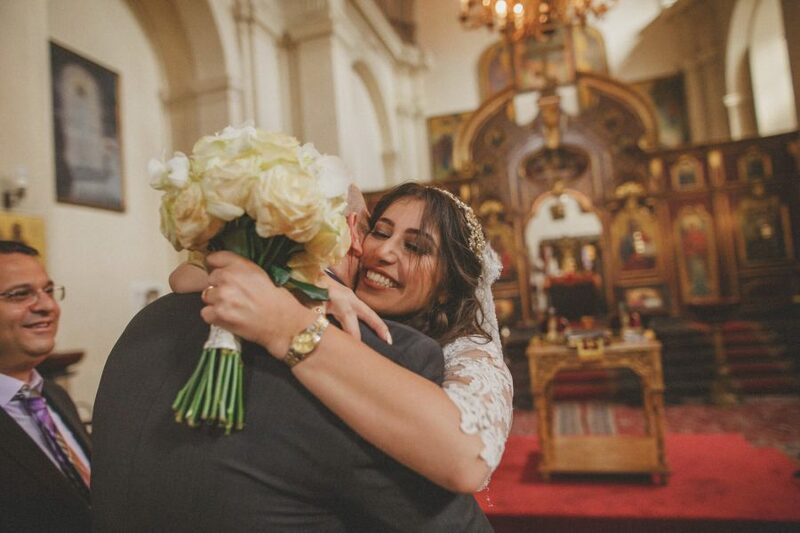 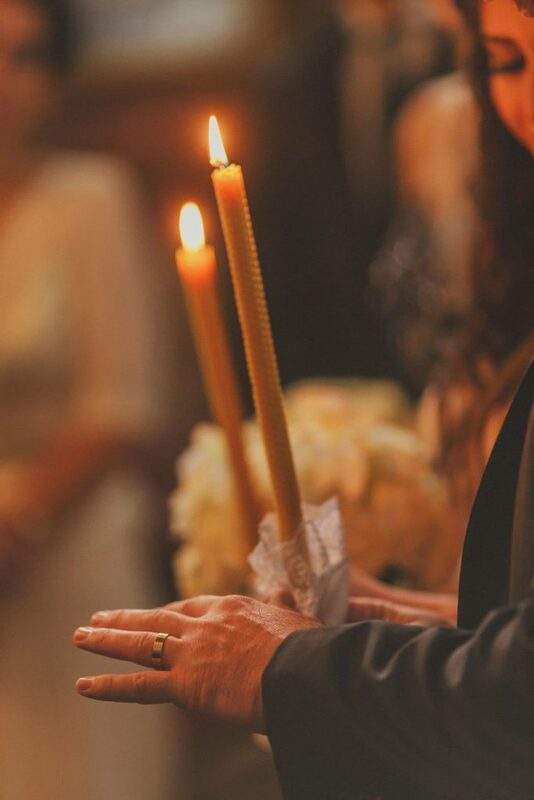 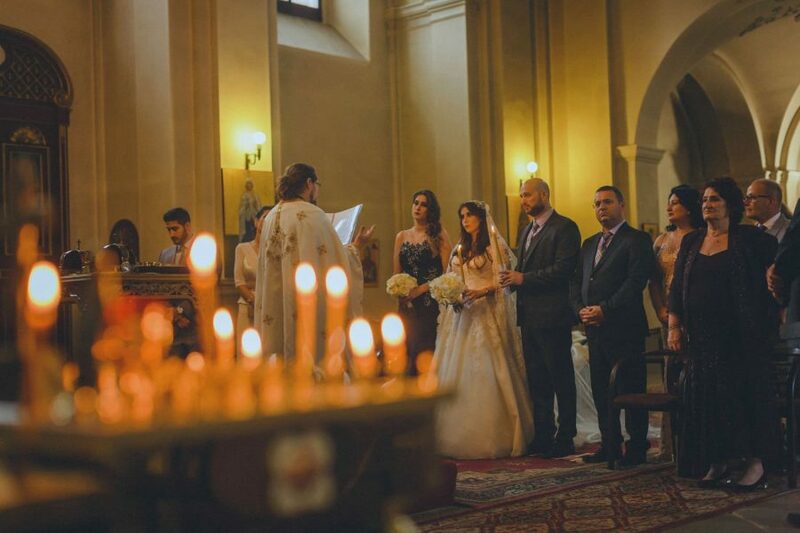 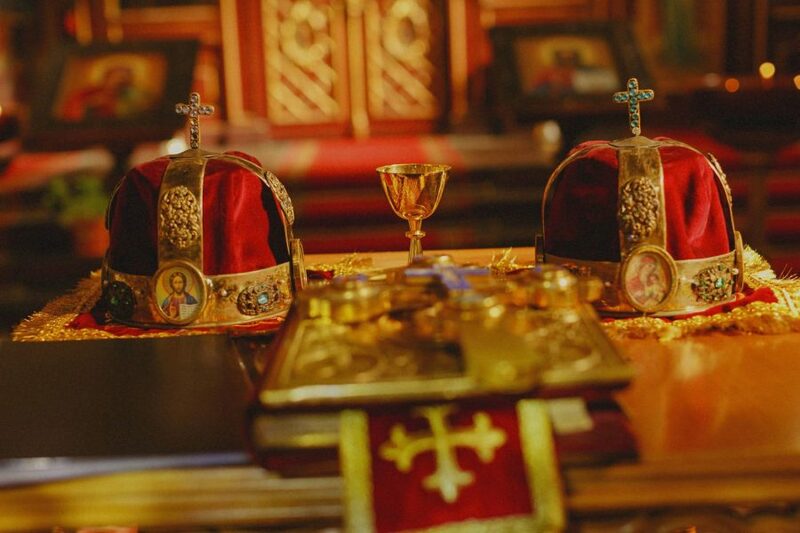 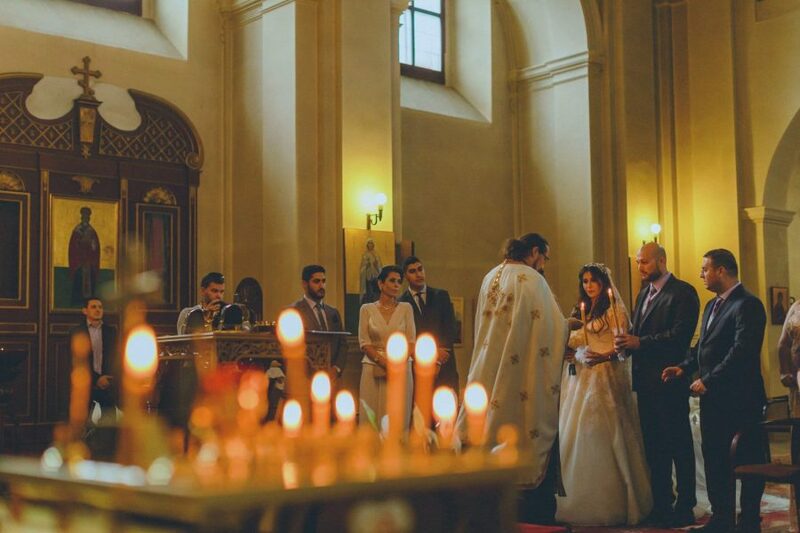 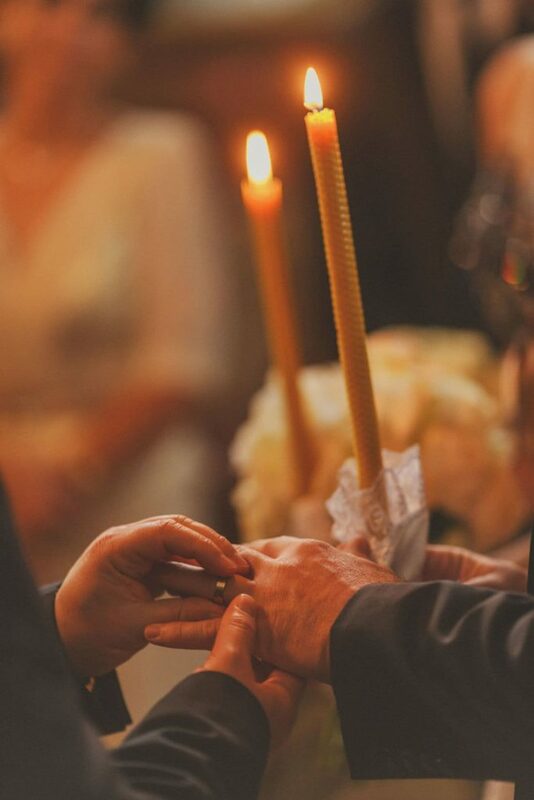 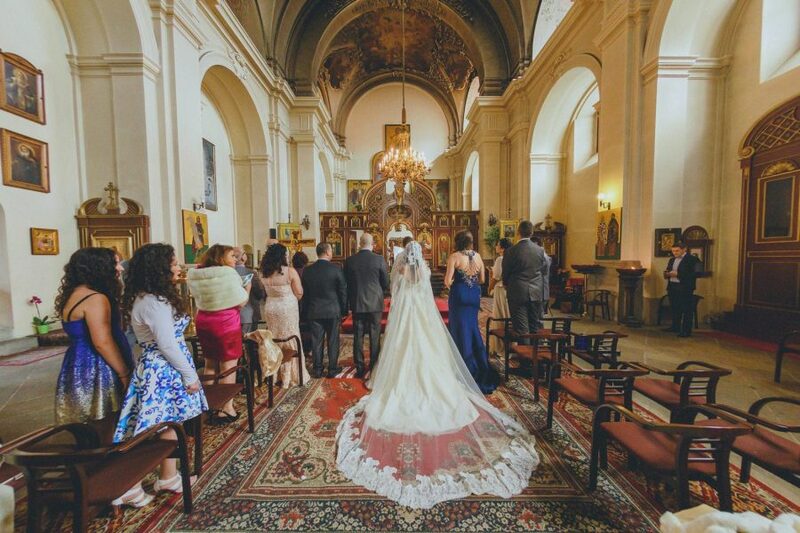 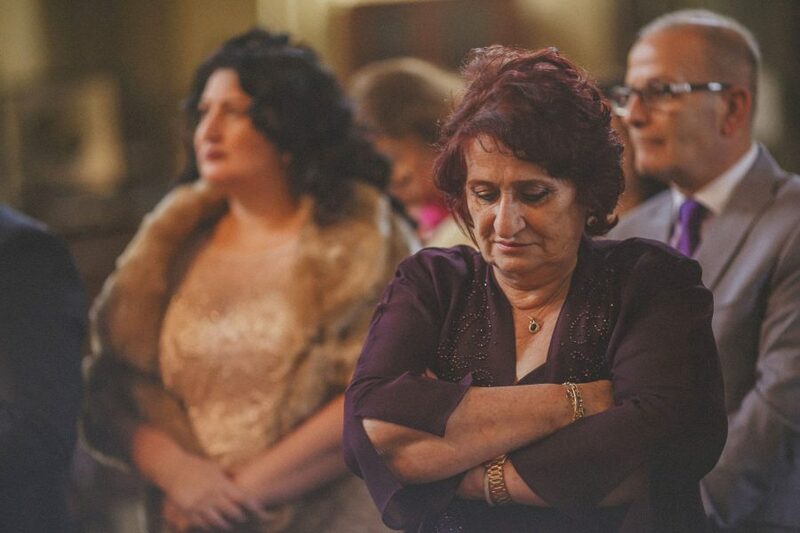 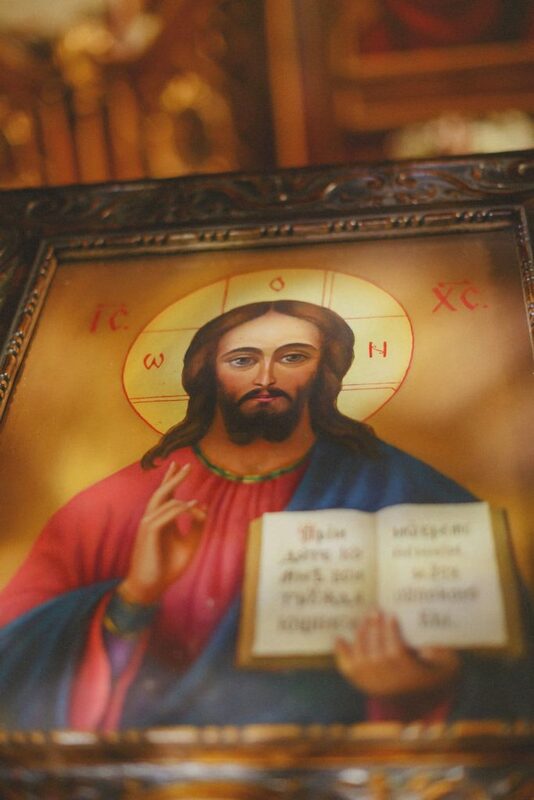 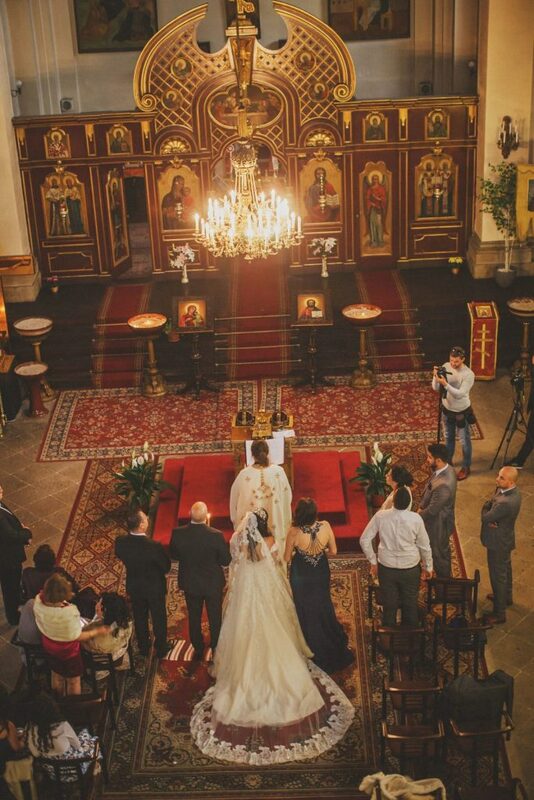 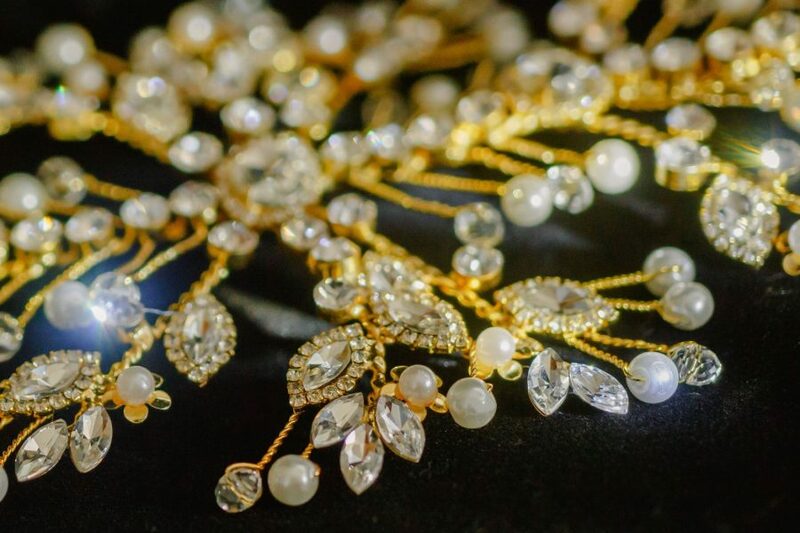 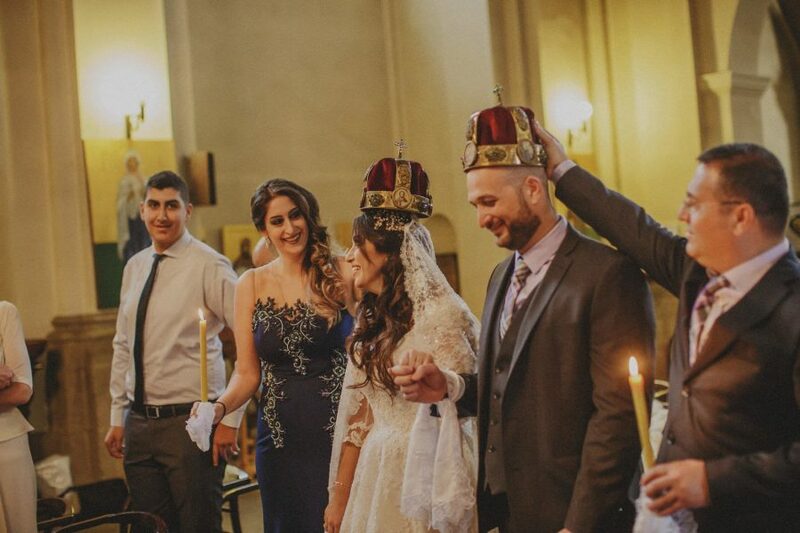 What followed was a truly beautiful Orthodox service with lots of smiles, beautiful rituals, hugs and kisses and many group and family photos captured afterwards. 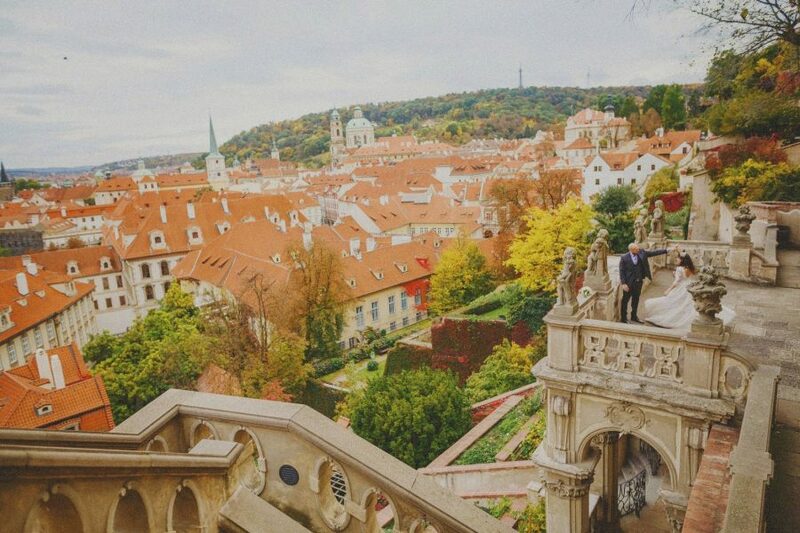 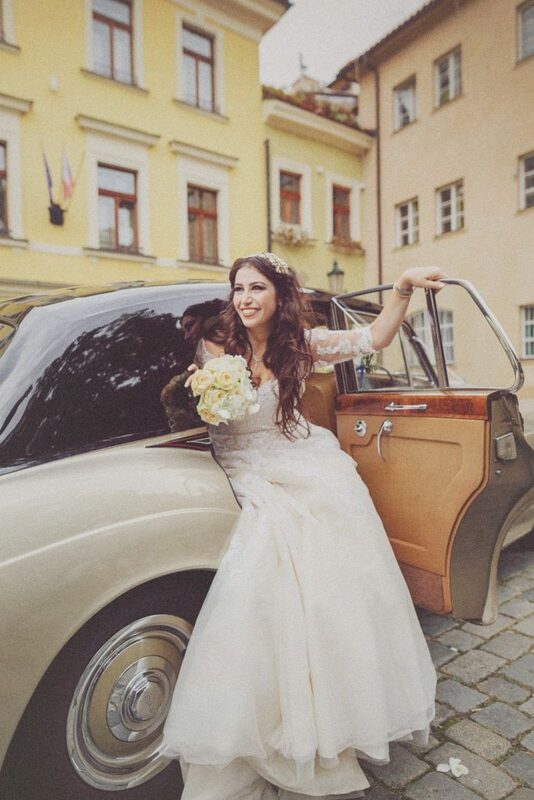 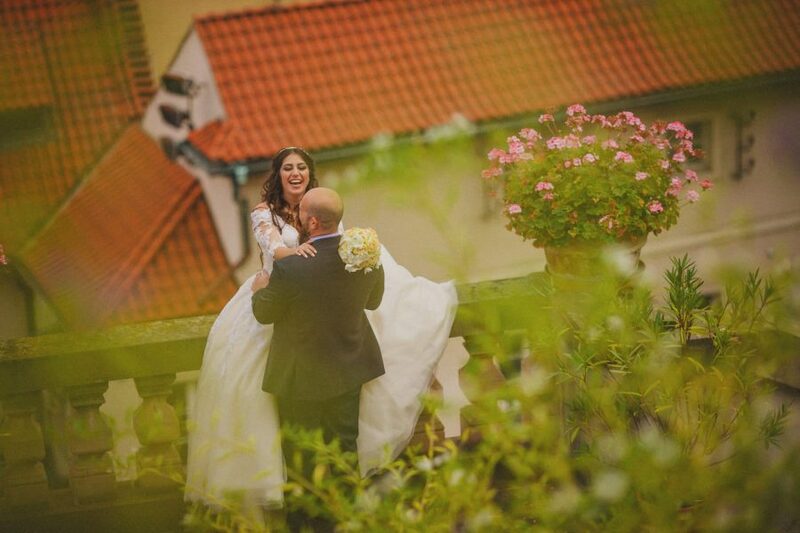 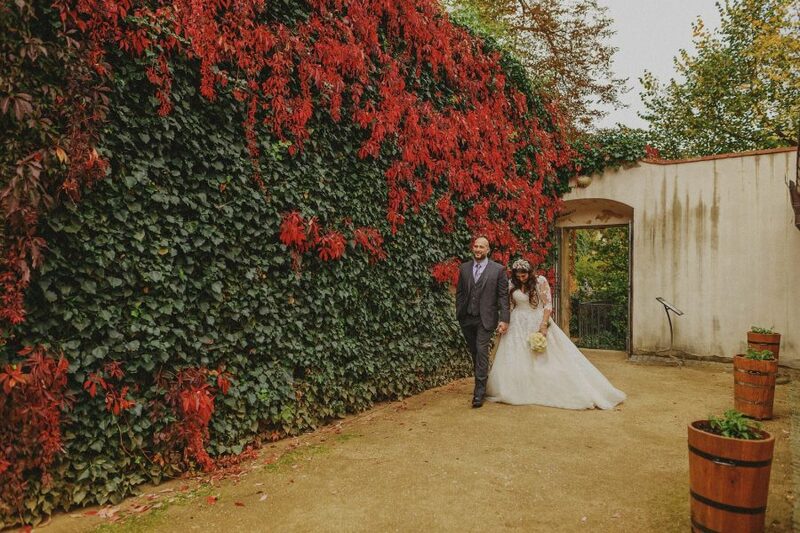 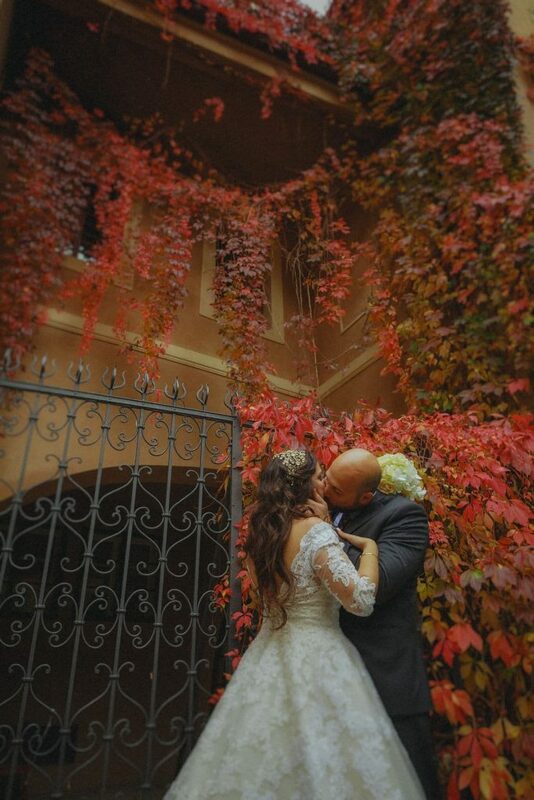 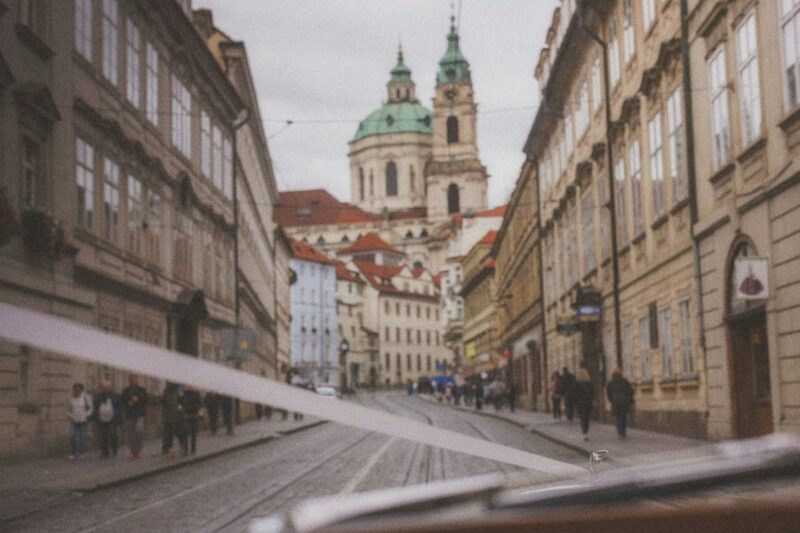 The best thing about capturing small weddings such as Jihane & Rabih is that we are usually given the time to take off from the guests and to explore (or be led around by your photographer) some of the most beautiful locations in Prague. 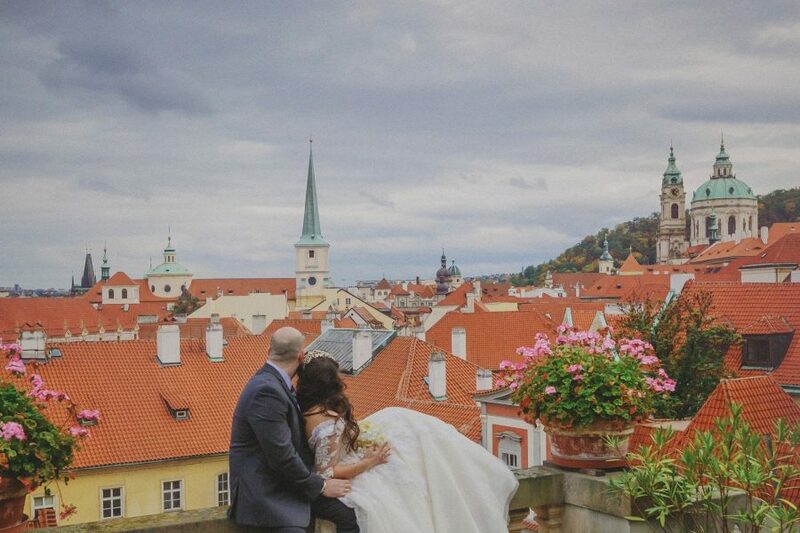 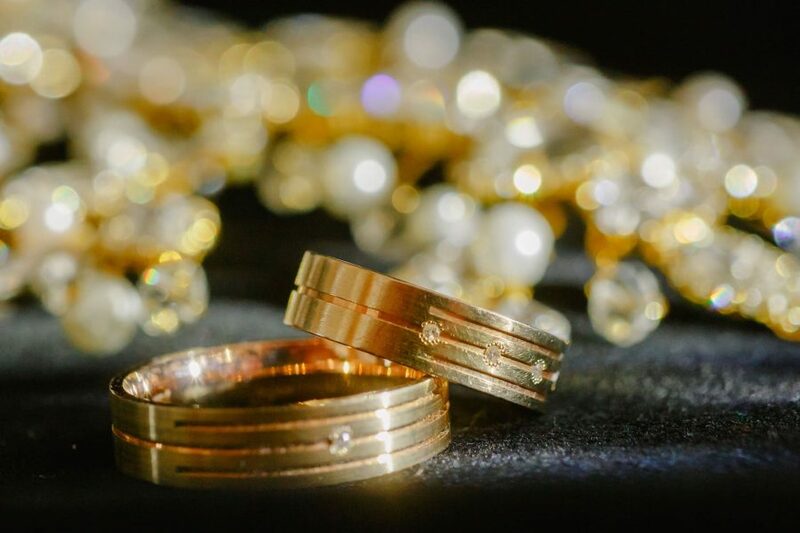 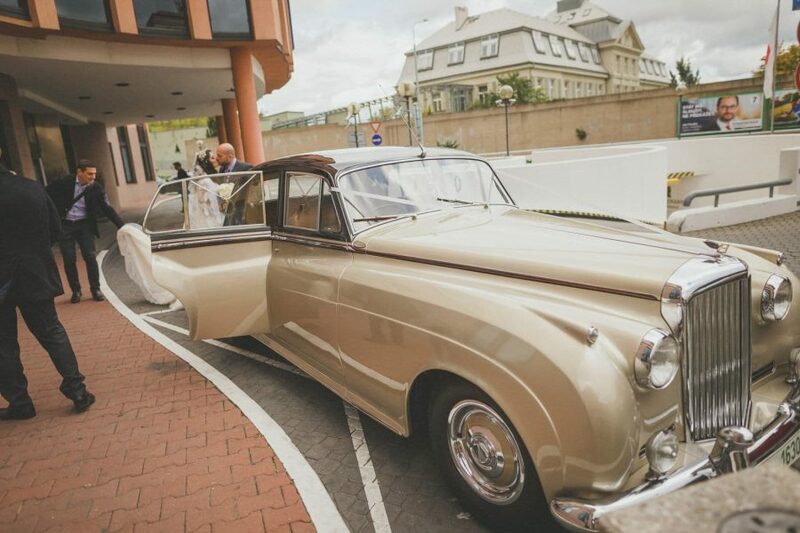 As much as I enjoy those big weddings with all of the bling and the nonstop schedule of events – I truly enjoy these smaller weddings where you have time to both capture intimately and show off this incredible city with a couple who are having one of the most wonderful days of their lives.